We are excited to announce that entries are NOW OPEN for the 2018 Rotorua Marathon! It's just over nine months to race day for Australasia's most historic major marathon to be held on Saturday 5 May 2018, so why not lock in your commitment now and Take on the Lake! It's going to be another classic day in New Zealand's coolest little hot spot! 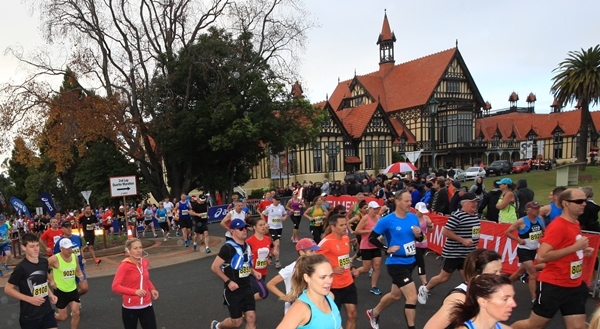 With amazing views and scenery, a fantastic atmosphere, plus T-shirts and medals for full and half marathon competitors as well as something for all the family with the Children’s event, why not make a weekend of it and take in all Rotorua has to offer. We are looking forward to another incredible event for 2018, see you there! August means that spring is just around the corner and that signals the time to start thinking about setting some big goals for the year ahead. Make one of them "Take on the Lake in 2018". 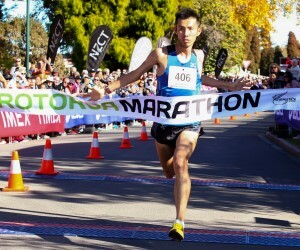 Enter Rotorua Marathon now and go in the draw for a great prize. Our friends at Millennium Hotels have a fabulous prize that we are going to put up in a draw for the first 100 people to enter the 2018 Rotorua Marathon. The lucky draw winner will get accommodation for two people for two nights at the Rotorua Millennium Hotel during the event. So ENTER NOW! 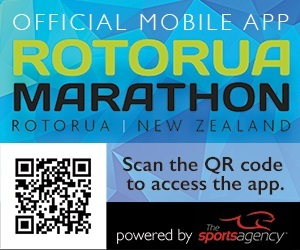 The Rotorua Marathon App is full of all the information you need at your finger-tips. Get the latest news, start fundraising, check out the different events, get the latest information and FAQs, check out previous results, sort your training and enter online, all from your smartphone. Download the free App now. Our awesome T-shirts at the 2017 event got a lot of great feedback in the post event survey. We're keen to have another fantastic souvenir T-shirt this year and we'd like your help. 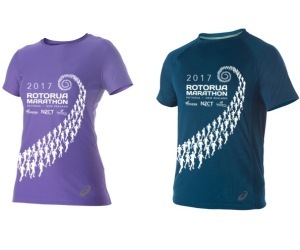 Send us an email to marathon@athletics.org.nz with your colour ideas for 2018 and we'll send out a T-shirt to three lucky emailers. Nearly 50% of Kiwis will experience mental illness in their lifetime, affecting the lives of every person, family and whanau in New Zealand. Mental Health Foundation help individuals and whanau/family to understand what their loved ones are going through, and how best to support them and look after themselves. Become a Charity Runner Child Cancer Foundation aims to reduce the impact of cancer by offering services that ensure children and their families are supported, informed and remain connected at every stage of their journey. At any given time we are assisting more than 500 families’ nationwide – offering support in hospital, at home and in the community. as well as the high-profile international New York Marathon in November. Entries are open for the 2018 Rotorua Marathon, so now is a great time to make the commitment to enter and kick start your preparations. ENTER NOW!